What is Open Core Engineering? With Open Core Engineering Bosch Rexroth is currently revolutionizing software engineering. The development of innovative, specialized functions offering maximum customer benefit must also keep up with the concurrent entry of new IT technologies into the automation field – like smart devices and modern communication architectures. This increased use of high-level languages and device platforms is opening up new integration opportunities for enhancing production workflow automation and flexibility. Open Core Engineering: Freedom and efficiency redefined. Get in direct contact with the Bosch Rexroth Open Core Engineering specialists. Open Core Engineering in 5 minutes! The increasing use of horizontal and vertical networking in industry will be an important topic in the future. Open Core Engineering is a solution, which provides all the required software tools to increase efficiency in engineering. With open standards, pre-programmed software, functions for machine monitoring and Open Core Interface technology it connects PLC automation with the new technologies of the IT world. Industry 4.0 is a reality. The connection between people, processes and products makes your enterprise quicker, more flexible and efficient. 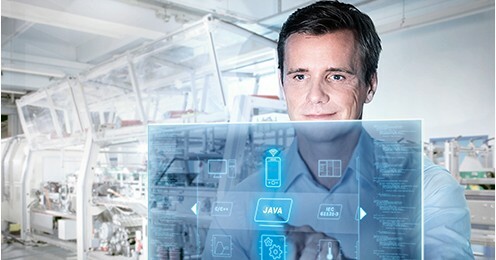 Talk to Bosch Rexroth about Connected Automation – now. Industry 4.0 needs the right switching centers at the critical points: platform-independent, fast, and easily programmed communication interfaces for perfect dialog between the control system and the HMI application. The new WebConnector connects the automation environment to static and mobile end devices more simply than ever before: web-based, scalable, modular and absolutely independent thanks to HTML5 and Java technologies. While until now the machinery manufacturer has had to work in two programming environments, with Open Core Interface he can program the machine sequence directly from LabVIEW and thereby significantly reduce engineering costs. The System under control by means of apps – more operator comfort in automation! In the future, mobile devices like smartphones and tablet PCs will conquer offices and production halls of modern companies. With the help of these devices many processes can be simplified and made even more efficient. Glaub Solution GmbH situated in Salzgitter, Germany, develops already today HMI solutions, which can be used to operate complete automation systems from smart devices by means of apps.